Thank you for your interest in our Montgomery, AL personal injury law firm. At Link & Smith, P.C., our personal injury lawyers have devoted their practice over the past twenty years to assisting clients who have been injured through the negligence of others. We handle personal injury claims arising from serious car wrecks, tractor trailer accidents, dangerous conditions on commercial premises, & boating/Jet Ski accidents on Lake Jordan or other surrounding lakes. Over the years we have successfully handled wrongful death and catastrophic injury cases from the settlement stage to the trial and appellate levels. We serve clients across the Southeast including Montgomery, AL. Being injured in an accident is an unfortunate event for everyone involved, and it is important that you hire an experienced and competent personal injury attorney in Montgomery to handle your case. Whether you have been the victim of a DUI related accident, texting accident, slip and fall injury, or any other type of accident where you sustained an injury from the negligence of another party involved, call us immediately for your complimentary consultation. Also, it is important to note that we work on a contingency-fee basis, meaning that you don’t pay us anything unless we reach a settlement on your behalf. If you would like a free consultation with a personal injury attorney about your accident in or around Montgomery, please contact us today. Link & Smith, P.C. have the knowledge and experience to handle your case. They provide free consultations and offer legal representation to those who claim to have been injured, physically or psychologically due to someone else’s negligence. First, contact the authorities, no matter how minor the accident. Fresh evidence must be collected directly following an accident because as time goes on witnesses’ memories as well as physical evidence may fade. Next, make sure all parties present at the scene of the crime give statements to the authorities. It is crucial to consult an attorney soon after an accident occurs. They can provide useful advice relevant to your personal injury case. After consulting with a Montgomery injury lawyer, it is vital that you provide as much evidence of the damages as you possibly can. The more details and specific damage claimed, the more inclusive your settlement will be. Finally, make an insurance claim after consulting with an attorney. Link & Smith, P.C. will provide useful tips to help out the victim of an accident. 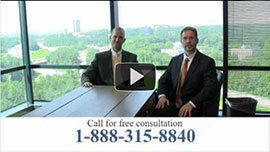 To consult with a personal injury lawyer in Montgomery please contact Link & Smith, P.C. at 334-231-3910.